Another awards-season thoroughbred is foaled in Room, Lenny Abrahamson’s take on Ireland-born, Canada-based Booker Prize nominee Emma Donoghue’s best-seller. 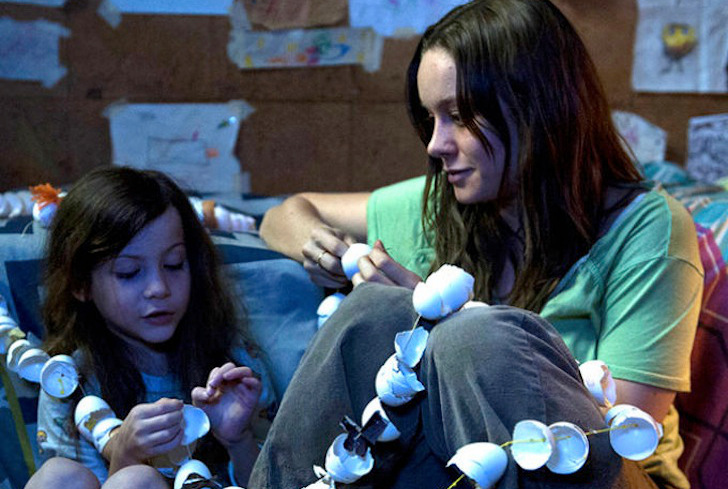 For all its touchy subject matter, Room is the sort of film for which People’s Choice awards were made: a lightly conceptual, sturdily acted piece of redemptive cinema that peers into the abyss only to blithely deny it. Still, despite the ease with which it checks off prestige-picture requirements—primarily a reassurance about the potential for new life to spring from the dirt—Room is a surprisingly uneasy affair, split between an ugly start that points to uplifting things to come, and a restorative coda that stubbornly forecloses as much as it promises comfort. 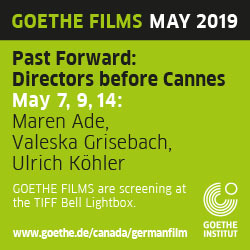 Brie Larson, ever the most valuable player in the middlebrow projects she finds herself in, plays “Ma,” a young woman who has spent the last seven years of her life forcefully held and repeatedly sexually assaulted in the eponymous Room, a vault-sealed garden shed in the suburbs of Anytown, USA. (This being a Telefilm co-production, that means Toronto, which happily yields character actors Tom McCamus—very good—and Wendy Crewson—very Canadian—in supporting roles.) There, Ma has singlehandedly raised her precocious five-year-old son Jack (Jacob Tremblay) in an almost natural state. Ma makes a bedroom, school, bathroom, and an entire world out of the cramped space provided by her captor Old Nick (Sean Bridgers), with recourse to nothing more than a sink, bathtub, television, and a conspicuously on-the-nose library—for what makeshift prison does not come complete with copies of The Count of Monte Cristo and Alice in Wonderland, the better to inspire its captives to think beyond the bars? Jack’s furtive glances through the skylight (named Skylight) tell us that he and Ma aren’t long for this airless world, but Abrahamson goes to some trouble to make it seem as viable to us as it apparently is to Jack’s enchanted mind, which, in one of the more psychologically astute moments in a film that trends toward generalities, a physician diagnoses as “still plastic.” Initially aping the novel’s claustrophobic perspective, which stays tethered to Jack and necessarily views Ma as an archetypal, stained-glassed image of motherhood, Abrahamson attempts to invest the things that comprise Room with magical properties. And so we open on a hazy montage of totemic objects observed first thing in the morning, which Jack lovingly grazes with his hand each time he rises, summoning the TV as if to wake it. Framing Room through Jack’s wide eyes might have been a bold strategy had it been adhered to throughout (as it was in Donoghue’s novel), but Abrahamson’s aesthetic folds before the titles are through, punting to a Ma’s-eye view of Jack and then a steady procession of free-floating two-shots of our leads, acting their hearts out in the confined space until their inevitable escape. This perspectival shift is a cheat, but you can’t fully blame relative novice Abrahamson for going a more standard route than Donoghue, or for using Tremblay as something more than an audience surrogate. Whether credit for Tremblay’s performance should go to the young actor himself, his screen partners (not just Larson, who silently co-directs him for much of the first act, but also Joan Allen as his long-lost grandmother and McCamus as her partner), or to Abrahamson, Tremblay has a vulnerability and an immediacy that cuts through the film’s more programmatic instincts. If Abrahamson makes the right call in letting his star’s untutored energy shine to the detriment of Donoghue’s narrative structure, though, he also fumbles in amplifying the author’s most distinctive stylistic conceit: Jack’s dreamy and dramatically ironic voiceover narration, which sounds as naive to us as it sounds perfectly adult to him. In Donoghue’s novel, Jack’s reveries about the strangeness of the world within and outside of Room read as a self-consciously Joycean effort to portray a still-forming, barely conscious mind grappling with circumstances beyond even an adult’s comprehension. 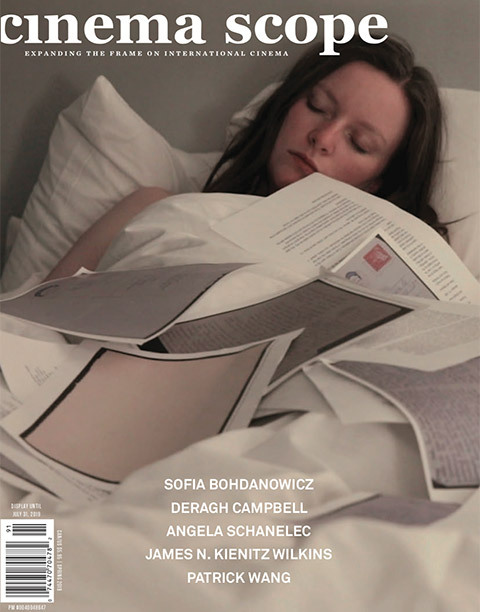 Ported over to the film piecemeal by Donoghue (who adapts her own novel) and buried under a wistful piano score, those same monologues are now as ingratiatingly poetic as they once were playful: a vision of childlike wonder processed through a think tank. The upshot is that for all of Jack’s ostensible idiosyncrasies as a boy in a fantasy world where, per Ma’s lessons, the television summons food (actually deposited each week by Old Nick as an ominous “Sunday treat”) and the skylight points to outer space, his thoughts are the stuff of golden-hued detergent commercials about the busy inner lives of rough-and-tumble boys. It’s a small miracle, then, that Ma and Jack’s eventual escape from Room doesn’t merely sink the film further into truisms about boyhood, but rather allows Abrahamson the opportunity to really think through the consequences of his high-concept material. Jack’s question of whether the hospital they’re brought to for recovery is another planet rings surprisingly true in the more unfocused but also more substantial final stretch, where Ma’s newfound breathing room in her childhood home incites her to shrink back into herself and away from her son, leaving Jack without his bearings in the spacious middle-class home that Ma’s parents have filled with soft carpet, good cereal, and tasteful winter boots. There’s a striking contrast between Jack’s still chirpy narration—now about the wonders of freeways and germs—and the actual images of the banality of his life after Room, which mostly consist of him sitting alone in hallways, forlornly mashing Lego pieces together. These portraits of Tremblay isolated in open space are surprisingly indelible, none more so than a shot that sees him surrounded by cables and wires, observing Ma’s first primetime television interview through the bars on the staircase, quizzically taking in his old cellmate across a larger expanse than he’s used to. Like most prestige pictures with awards hopes, Room scrambles in its final moments to scrub away that ambivalence about the actual rather than imagined value of freedom and space in order to reaffirm the frayed mother-son bond: in his reanimated (and presumably medicated) Ma, Jack even finds a Lego partner in his hour of need. But it’s hard to dismiss that image of Jack marooned on the staircase, looking to his old all-purpose life partner as if they were on separate planets after all. There’s more insight about the loneliness of growing up in or out of Room there than in a half dozen of Jack’s monologues about the mysteries of the universe, and more wonder as well.